E3 is a huge event that video game lovers anticipate all year long. Every year at this time we immerse ourselves in our computers, TV’s and smart phones to watch all the latest and greatest news revealed at the event by developers, publishers, and video game companies. Last year we mostly saw content for the new generation of consoles but this year was all about the games, which was not only a nice turn around but also made for a highly anticipated show – we have our consoles, it was time to see some games! From my point of view, this years E3 event was brilliant. Gamers around the world rejoiced at the new announcements, trailers and gameplay demos. I was able to watch all the major press conferences live and I must admit that I was on the edge of my seat for each one, waiting for the next big announcement. It is truly a great time to be a gamer and we have a lot to look forward to in the coming years thanks to all the great reveals and announcements made at E3 2014. What I would like to do in this post is simply talk about all the press conferences, giving a short play by play of the announcements and reveals, as well as share the ups and downs from my point of view. Let’s get started, shall we? There’s a whole lot of awesome to cover! Microsoft amazed me this year with an outstanding press conference. Last year the company did nothing but disappoint me between their console reveal and E3 show, so I didn’t expect much out of this conference. I suppose I was expecting more talk about features and hardware, but they only showed the games which was really cool. I was pleasantly surprised at the direction this conference took and I really enjoyed seeing Phil Spencer on stage, caring about his product and thanking the fans for sticking by them. The conference opened with a look at Call of Duty: Advanced Warfare (which looks really fun) then went into a variety of other games such as Assassin’s Creed Unity and Fable Legends. New co-op gameplay was shown for Fable Legends which really sold me on the game and a bit of gameplay was also shown for Unity, which also features four player co-op. Some news for the new Forza title and a new racing game from Criterion Games were talked about which definitely appealed to the racing game fans in the crowd. New trailers for Evolve and Dragon Age: Inquisition were shown off as well as a new DLC for Dead Rising 3 which looks crazy fun. A debut trailer for Rise of the Tomb Raider was revealed and a new gameplay demo was shown for Sunset Overdrive. New gameplay demos for The Witcher 3: Wild Hunt and The Division were shown off, hyping up the anticipation for those two titles. Towards the end of the conference a new Crackdown game was announced via a brand new debut trailer. They announced a new Phantom Dust game which will be exclusive to the Xbox One, as well. 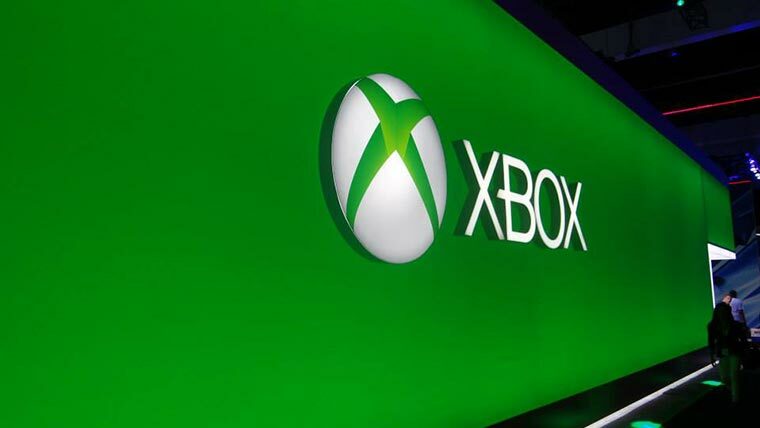 Platinum Games announced their new title called Scalebound, which is also an exclusive for the Xbox One. Microsoft took a good deal of time to talk about indie games and show off some of the new indies coming to their consoles in the future, such as Ori and the Blind Forrest, which was really great. This was a new thing for Microsoft as they typically only talk about AAA games, leaving indies out all together. Overall the conference as a whole was well put together – featuring a mixture of new games, trailers and gameplay – and featured a whole lot of games, which is what the fans really wanted to see after all the boring tech talk and Kinect crap that was talked about last year. My favorite part: The debut trailer for Rise of the Tomb Raider (obviously, duh.). As soon as I realized what this trailer was for I actually started to cry. I was so excited and so happy to see Lara Croft back in action. Watch the trailer for yourself below. My least favorite part: If I had to choose something that I consider to be my least favorite part I would have to say all the business with Forza and the new Criterion game. I’m not a racing game fan. At all. All in all though, that’s a weak “least favorite” and I think that’s because as a whole this press conference was really strong. EA’s press conference was a lot of hype without a lot of games to back it up. I myself was looking forward to EA’s conference due to developers such as Bioware being a part of it and I also looked forward to new game announcements since EA produces tons of great games. What I ended up getting was… not so good. The conference opened up a cool behind the scenes look at the creation of Star Wars Battlefront. Next up was a good bit on Dragon Age: Inquisition which was really awesome, the opening trailer featured live musical accompaniment. We saw some new gameplay and were introduced to some new characters, it was really neat. Next the Mass Effect music started playing and I was so ready to see something about the new Mass Effect game. There was only about 5 minutes of Mass Effect time in which they talked about the new game but didn’t show much of anything and also announced a new IP but again didn’t say anything else about it. After that was a slew of EA Sports titles such as UFC, PGA Golf and Madden as well as a new installment in EA’s The Sims series. At one point I thought things might pick up when some new footage and info about Mirror’s Edge was revealed, but again it was not much and only showed “conceptual prototypes” of the game, nothing solid. All of the information was done in a sort of “dev diary” style, as was the Mass Effect part, which is fine but never reveals much which a bit disappointing for E3. After the Mirror’s Edge business they went right back to the sports. Overall it was rather disappointing. The conference started off rather strong but lost most people’s interest with the massive amount of sports titles shown. Of course EA Sports games are a big deal for the sports lovers, and that’s great, but these games come out yearly and the fact that expected yearly titles like Madden and FIFA took up most of this press conference was a big disappointment. Though that is typical of EA, I just expected more from them this year. My favorite part: The Dragon Age: Inquisition presentation. A lot of cool in-game footage as well as information about the new characters was revealed and I really enjoyed seeing all that. To top it off, a lovely musical performance kicked off the news which was fantastic. Check it out below. My least favorite part: All the stuff about UFC, NHL, FIFA, Madden and all the other sports titles announced. As I said before, most of the conference was centered around these titles and due to the fact that they come out every year I found it to be a big disappointment. I felt like nothing really new was shared other than the fact that these games are on new gen consoles. 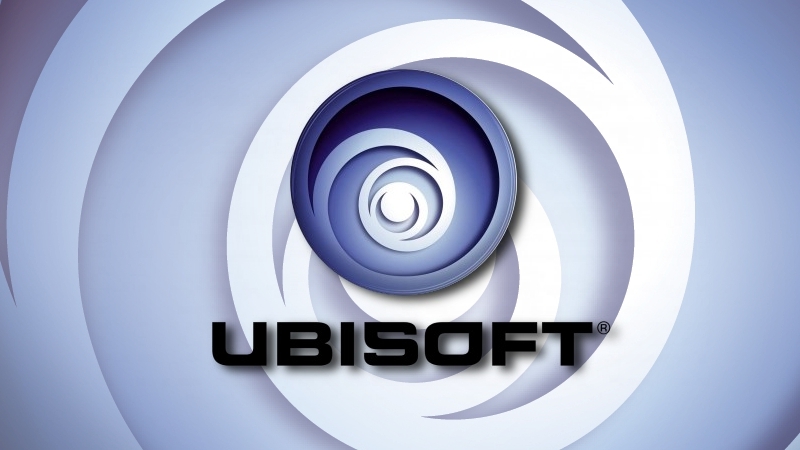 Ubisoft rocked the house with their press conference which was hosted again by Aisha Tyler, who always brings some fun to the event. They opened the event with the first five minutes of Far Cry 4, which looked marvelous, and then went into an announcement for the new Just Dance game. I’m not a huge dancing fan, but this Just Dance game looked really cool. You can now dance with as many people as you want in a room (or out of the room) through a Just Dance app and the use of a smart phone. It was pretty neat, even if I don’t plan to ever buy it. They showed some really emotional trailer for The Division that highlighted a story-based aspect of the game which was awesome since all we have really seen thus far was gameplay and multiplayer stuff. There was a fantastic trailer for Assassin’s Creed Unity shown that featured a stylized cover of the song “Everybody Wants To Rule The World” by Tears For Fears. It was insanely good and to be honest it sold me, someone who isn’t typically a fan of the Assassin’s Creed series, on the game. After that there was a decently lengthed gameplay demo that showed improved wall scaling, stealth and combat features of the game. Ubisoft then showed off a new IP called Valiant Hearts via another emotion-filled trailer. The game has a really impressive style to it and seems to have a well done narrative behind it. They began to wrap up the conference up with a new game called Shape Up, which looks a lot like a cooler version of one of those Kinect or Wii work out games. The last thing they showed was a huge reveal for Rainbow Six: Siege, they showed off some of the multiplayer for the game and it looked really innovative and interesting. My favorite part: The Assassin’s Creed Unity trailer with the Tears For Fears cover. Not only was the song choice brilliant, but the whole thing just gave off this insanely badass vibe with the four assassin’s fighting together and whatnot. It was absolutely amazing! Watch for yourself below. My least favorite part: I suppose the Shape Up thing was my least favorite part. It was pretty cool, but the presentation lasted for a while and I just don’t really have any interest in the game. Sony was a bit vanilla at points, but all in all they brought down the house with some of the best game content of E3. They opened up with a new trailer for Destiny which detailed the game’s storyline as well as showed off some of the environments, enemies and general gameplay. It was announced after that an exclusive beta will begin on July 17 for PS3 and PS4 owners, which is pretty awesome. A new standalone DLC was announced for InFamous: Second Son featuring Fetch and some new gameplay from The Order: 1886 was shown. There was some really awesome gameplay featuring some hard-core elephants shown for Far Cry 4. Sony announced a new game from the creators of Dark Souls called Bloodborne. Media Molecule showed off Little Big Planet 3 for the PS4 which features three new sack folk. A remastered Grim Fandango was announced to be coming to the PS4 and Vita. A debut trailer for Dead Island 2 was revealed and OH MY GOODNESS it’s going to be absolutely amazing. 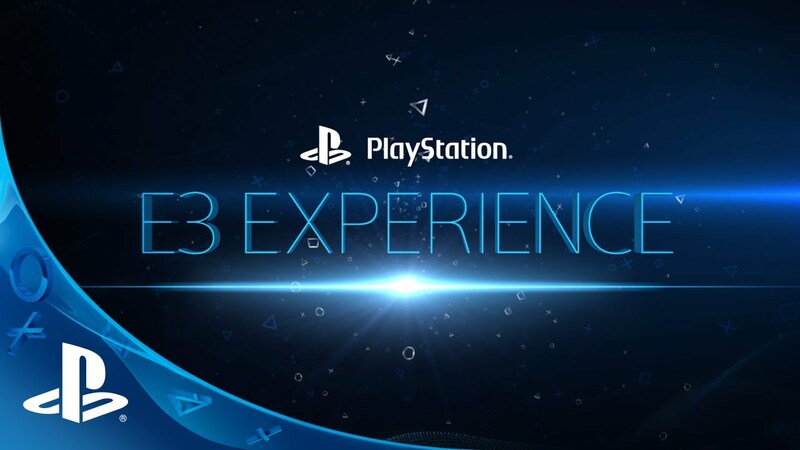 In typical Sony fashion, a ton of new and exclusive indie games were showcased as well such as Abzu and Entwined. Around the middle the conference slowed to a halt as Sony went on and on about exclusive TV shows and hardware such as the PlayStation TV. There was some Vita stuff shown and some talk about PlayStation Now before they got back into the games. The conference itself was pretty lengthy so all in all they showed just as many games as everyone else but also spliced in some talk about features and whatnot. After all the boring stuff they showed off a new gameplay trailer for Mortal Kombat X. A trailer for the interstellar game No Man’s Sky, a brand new IP, was revealed as well. Sony announced an official release date along with a new trailer for The Last of Us: Remastered. They announced that Grand Theft Auto V would be coming to new gen consoles (they said PS4, but it’s also on the Xbox One and PC) this fall and that you can import saves from the PS3 and Xbox 360. A fun new trailer for Magika 2 was revealed as well as a new horror game called Let It Die. There was also an amazing new gameplay trailer for Batman: Arkham Knight shown and it absolutely blew my mind. The conference was wrapped up with two amazing new trailers. One of them was for Metal Gear Solid V: The Phantom Pain and the other was an actual debut trailer for Uncharted 4: A Thief’s End which is coming in 2015 to the PS4. My favorite part: This one is hard, so I’m picking my two favorite parts (picking just one is lame, this is E3 after all!) One was of course the gameplay trailer for Batman: Arkham Knight and the other was the debut trailer for Uncharted 4: A Thief’s End. Both are embedded below for your viewing pleasure. My least favorite part: All the talk about the new apps, features and hardware. I mean, yes it was very interesting to learn about that stuff but it really slowed the whole conference down. I will say that they did a fantastic job of placing all that stuff in between awesome game announcements and trailers to reel us in then leave us on a really high note. I didn’t actually watch this event so I’m just doing a quick bit on the highlights I am seeing online. If you have anything to add in the comments please do so, I may have missed something really cool. Kirby and the Rainbow Curse was announced, it sort of looks like Kirby meets Sonic with a cute little clay-like touch to it. Mario Party 10 was also announced with a new feature that allows one of the five players to control Bowser, attacking the four heroes throughout the mini games. A new game called Yoshi’s Wolly World, which is made in the same style as Kirby’s Epic Yarn, was announced – it looks really cute and fun. Of course some new features and characters were shown for Super Smash Bros. U, which was expected but very cool. Lot’s of Zelda news was revealed at the event today. Hyrule Warriors (which was announced previously but not shown off too much) was talked about and shown in a little more detail. The devs say that we will be able to play as any of our favorite Zelda characters but only showed Impa, Midna, Link and Princess Zelda at the event. On top of that another Zelda game was announced which is more in the vein of classic games in the Zelda series. It’s an open-world game in which you can travel all about in an Elder Scrolls fashion, fighting enemies and whatnot on Link’s trusty horse. Both of these look to be very promising titles. A few other games were shown and/or talked about such as Bayonetta 2, Mario Maker, Splatoon, Mario v. Donkey Kong, Devil’s Third, Pokemon Omega Ruby and Alpha Sapphire, Captain Toad: Treasure Tracker and a new, untitled Star Fox game. The Star Fox game was announced to be on of three secret projects in development so nothing was shown for the game, it was simply confirmed. My favorite part: Yoshi’s Wolly World. I’m a sucker for a good Yoshi game, I must have played through and beat Yoshi’s Story on the N64 100+ times, no joke. He is adorable and this game looks really inventive and fun. My least favorite part: The lack of diversity always bugs me with Nintendo Direct events. By that I mean the same Mario/Kirby/Zelda games with little to no new IPs or interesting developments. Sure, the Mario/Kirby/Zelda games are great games but announcing things like Mario Party 10 or even a brand new Zelda game has become an expectation, not a surprise. Just a personal beef, I suppose. Overall this event was actually really enjoyable and lots of new stuff was announced and talked about, so that’s the best part. All in all, this year’s E3 press conferences were all well done. I don’t like picking winners and losers, but if I had to I would say that Microsoft and Sony tied for the winning spot. Both of these companies tore it up out there and showed off some amazing games. As far as a loser goes, that would be EA. All of their content that wasn’t sports or Dragon Age: Inquisition (which wasn’t much) was only showed briefly, featuring “conceptual prototypes” as opposed to actual gameplay. Ubisoft and Nintendo also did a great job this year, I would consider them winners as well. At the end of the day though it’s us, the gamers, who win. Tons of brilliant games were shown this year proving that new gen gaming is just getting started. The rest of this year and next year are going to be very enjoyable! 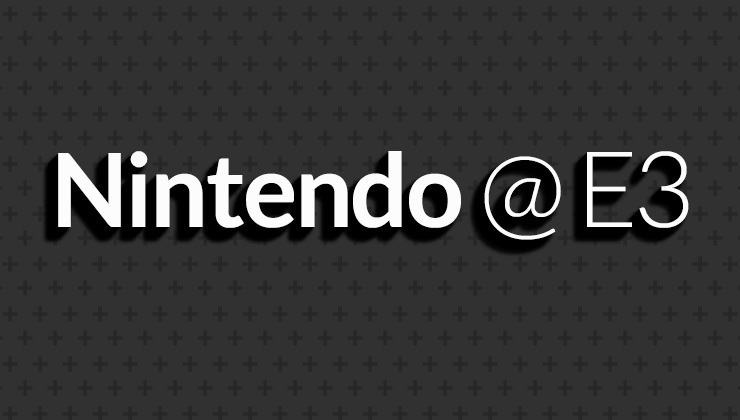 Please be sure to share your thoughts and opinion on the E3 2014 press conferences in the comment section below. These are my opinions and my highlights, but what were yours?